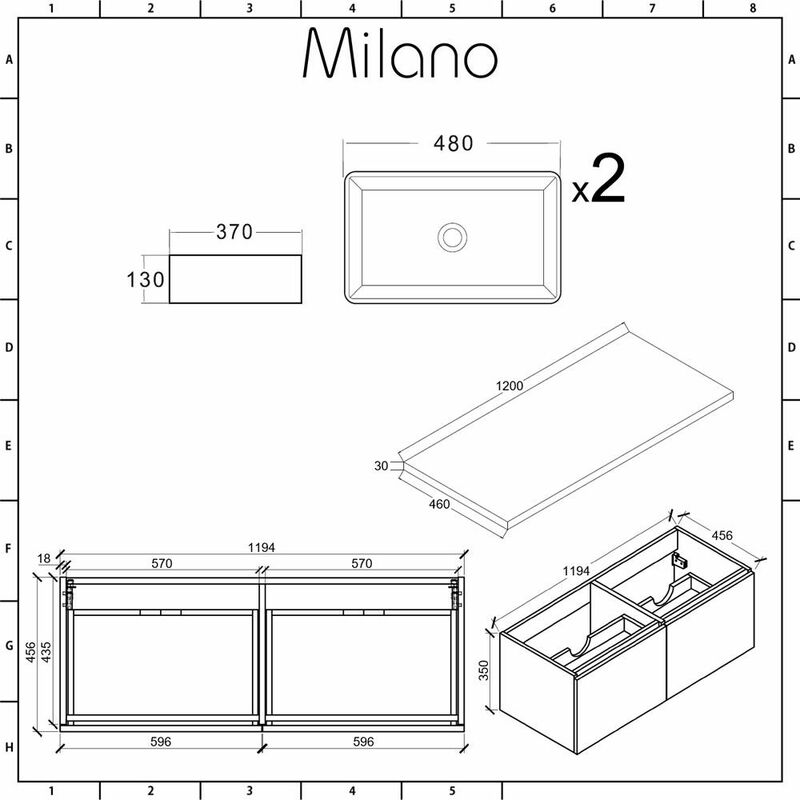 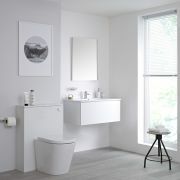 Create a bold new look in your bathroom and add some designer style with the wall-mounted Milano Oxley 1200mm vanity unit and matching basins. 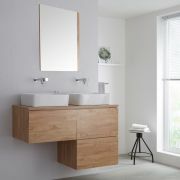 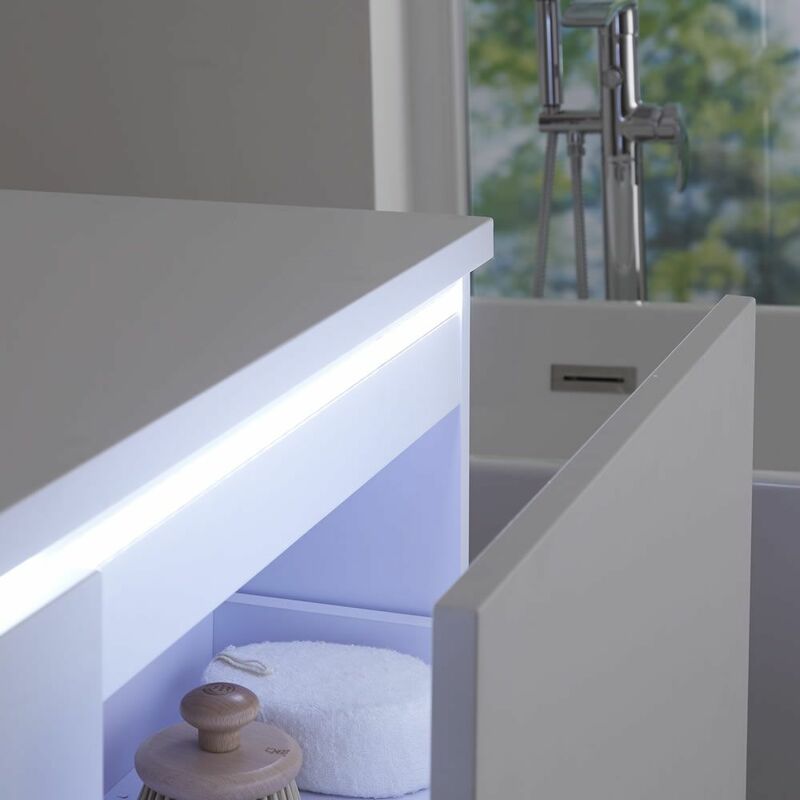 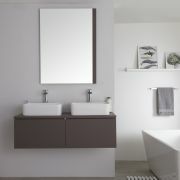 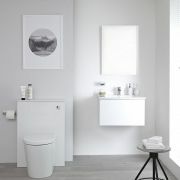 Offering a contemporary storage solution thanks to two spacious push to open soft close drawers to store your bathroom essentials, the Oxley vanity unit gives you both practicality and modern looks. 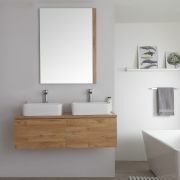 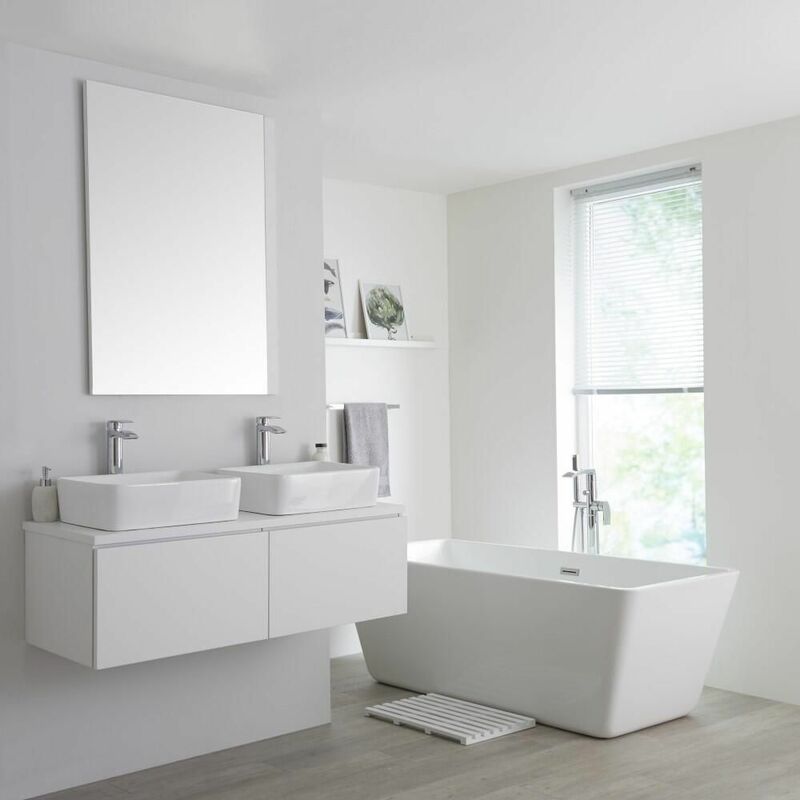 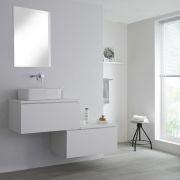 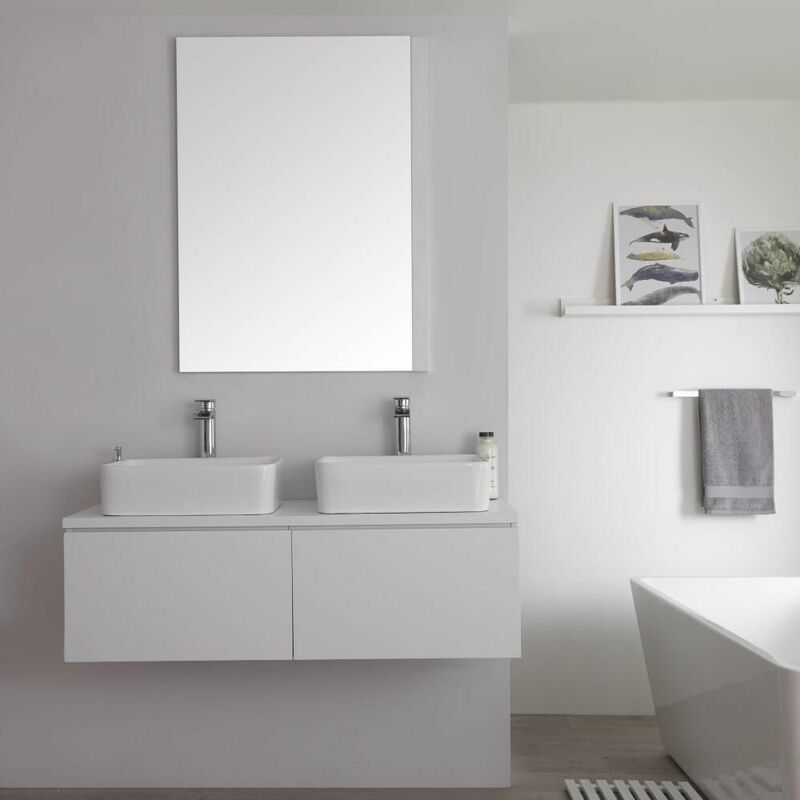 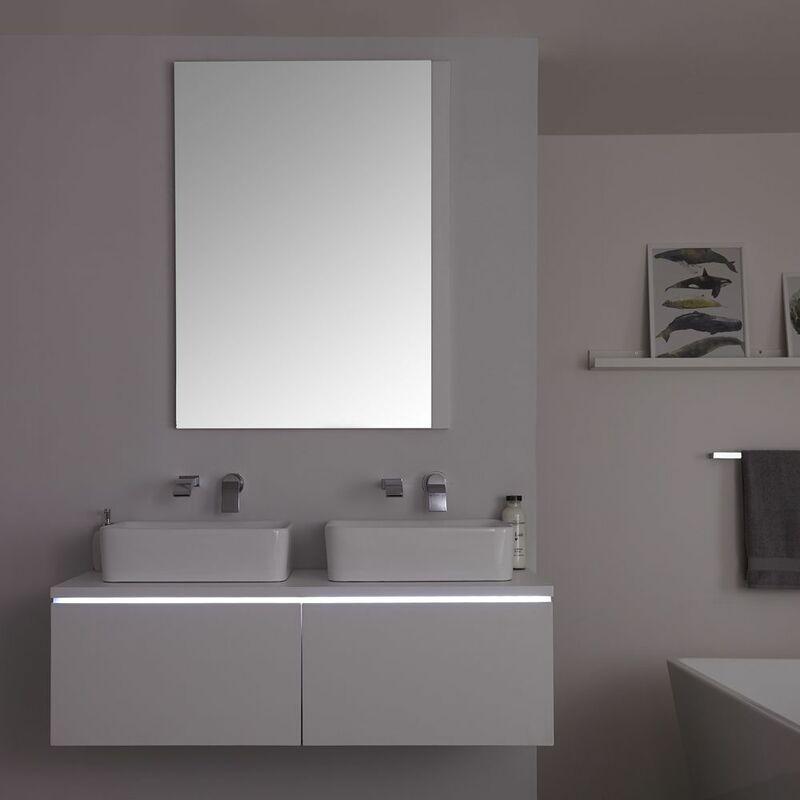 Constructed using robust moisture resistant engineered wood for long-lasting use, the vanity unit features a simple but striking matt white finish. 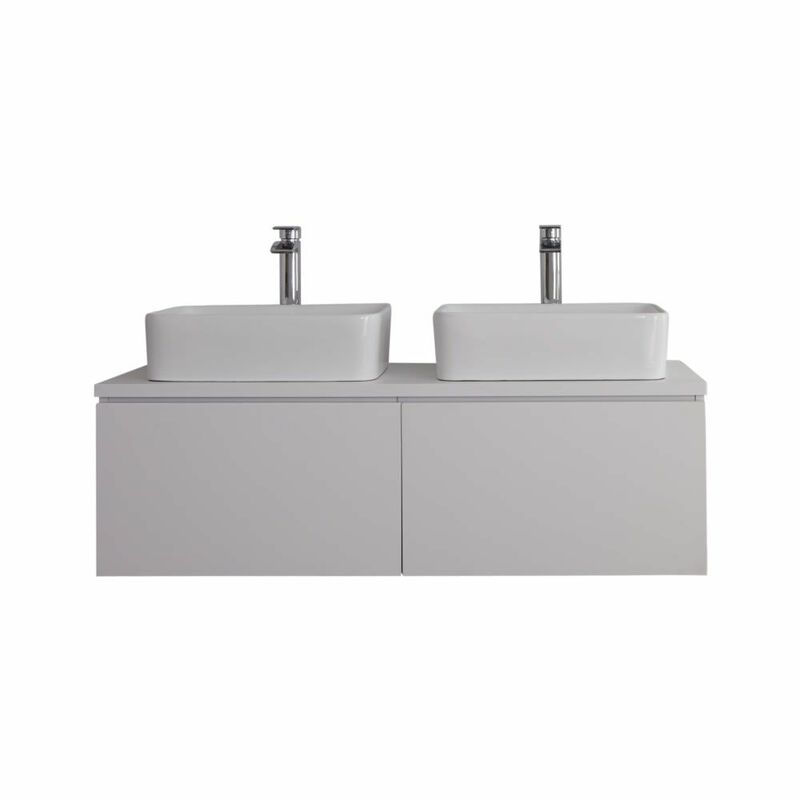 The matching rectangular countertop basins, to create a ‘his-and-hers’ look, are made from high quality ceramic and finished with a white glaze to allow easy cleaning. 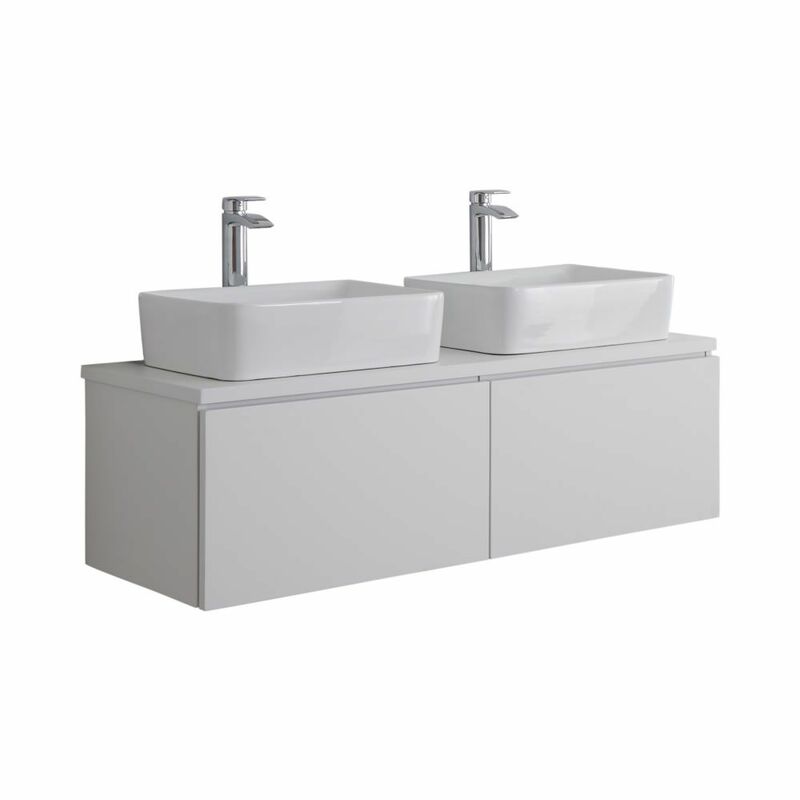 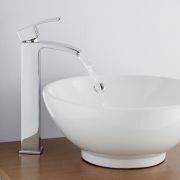 The basins don’t include tap-holes and so can be used with wall-mounted or high-rise taps in our range.